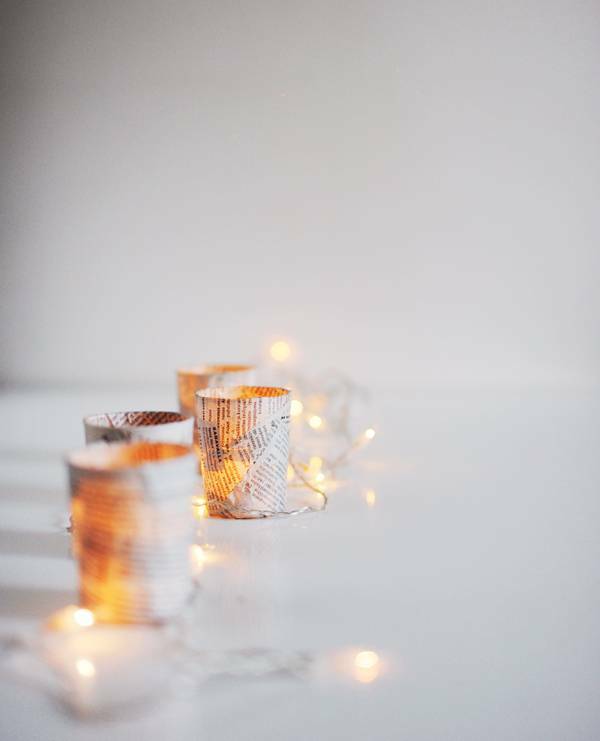 Today we threw together a few bright, simple and easy projects to decorate your home and set your table for Christmas. Everything we show should cost you next to nothing and you should have everything you need to copy these ideas at home or be able to pick it up from a nearby forest. Really our favorite kind of project. We'll be showing you centerpiece ideas and place card inspiration + some general decor ideas. 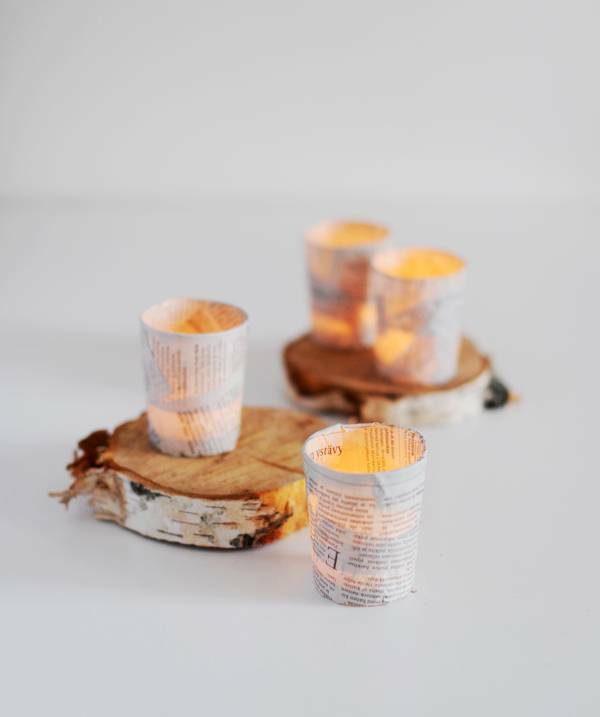 Let's start this with these newspaper votive holders. We used: one newspaper, paper glue and these drinking glasses from Ikea to make them (btw: browse the Ikea drink ware selection from time to time if you're looking for inexpensive, simple glass vases or votive holders). I myself set up these babies on our dining table right after we took the pictures. They are so simple and pretty and add just the right amount of holiday atmosphere for the minimalist taste to a plain white table. Use them by themselves or add them to a simple table decor with flowers wood pieces and/or twinkle lights. Always love coming to your blog! 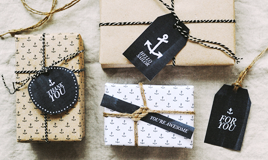 Your blog is ROCKING with inspiration! I love it!